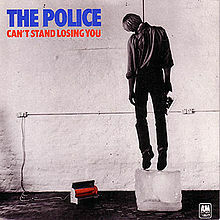 "Can't Stand Losing You" is a song by English rock band The Police, released from their debut album Outlandos d'Amour, both in 1978. It was written by Sting as a song about suicide. The song also gained controversy for its single cover art, featuring Stewart Copeland hanging himself. 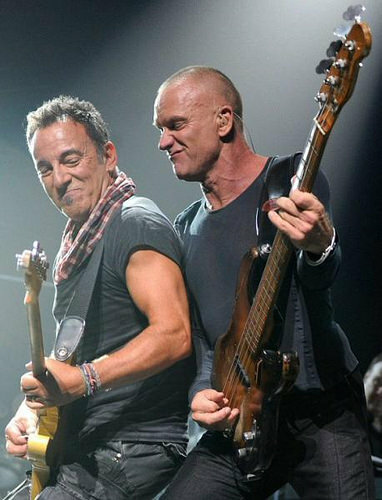 "Can't Stand Losing You" features lyrics which, according to Sting, is "about a teenage suicide, which is always a bit of a joke." 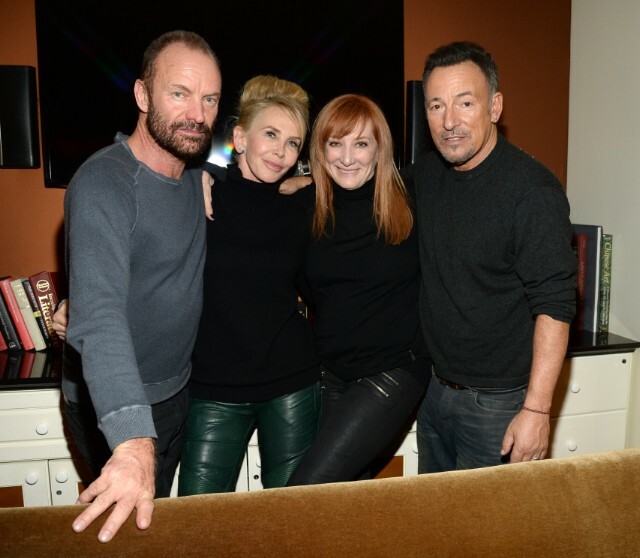 Sting also claimed that the lyrics took him only five minutes to write. The original single was banned by the BBC because of the controversial cover (an alternative cover was released in some places). As Sting described: "The reason they [the BBC] had a problem with "Can't Stand Losing You" was because the photo on the cover of the single had Stewart standing on a block of ice with a noose around his neck, waiting for the ice to melt." Despite this, or perhaps because of the extra attention from the controversy, it became the group's first single to break the charts, and has held a spot in their live sets ever since it was written. The photography on the controversial cover was by Peter Gravelle. I can't, I can't, I can't stand losing.